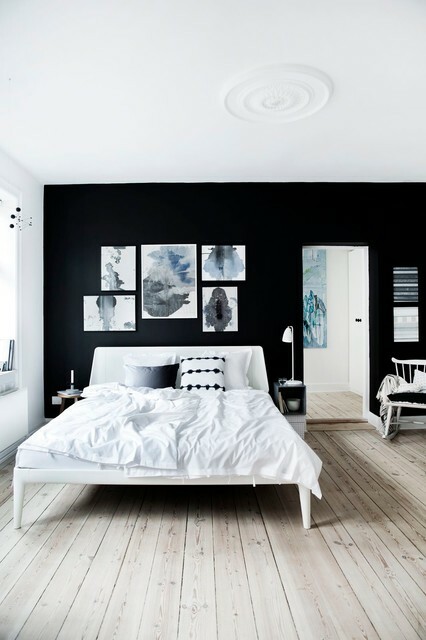 Thinking of a black accent wall with white bedding. Rahat art would go on the walls? In this scheme? siyah duvar resimler ve beyaz yatak.